Finding and financing the right childcare can be tricky. If full-time daycare is more than you need and your schedule is unpredictable (maybe you work from home, are looking for work or just need a break once in a while), the problem is even stickier. One solution that's becoming popular among parents facing lean budgets: the babysitting co-op. Frustrated and broke, more and more families in need of flexible arrangements are going the route of cooperative childcare, joining with like-minded parents to take turns watching each other’s children for free. The co-op structure varies: some are for once-in-a-while daytime or evening sitting; others are regular part-time playgroups, with a rotation of two or three moms watching maybe six children for a few hours each week (some groups opt to split the costs of hiring one or two sitters to assist the mom on duty); and there are all kinds of arrangements in between. Setting up a co-op takes a little time and energy, but bear in mind that babysitting is just the beginning of the benefits you'll reap. According to Keri Fitzgerald, Los Angeles mom and creator of co-opagogo.com, a site offering free co-op building tools, “Once a co-op gets started, it becomes a tool for communicating and a catalyst for growing a strong, vital community." Maybe you're setting up a group for occasional sitting; in a couple of years, when your babies are toddlers and ready for a part-time playgroup, you can grow your co-op to accommodate preschool needs. And don't forget - it’s free! Interested? Here are some tips for getting started and creating clear guidelines that will help make your co-op a success. Finding your co-op buddies. One of the advantages of the babysitting co-op is that you get to skip the nail-biting involved in hiring an unknown sitter: “Most co-ops are started by groups of families who are already exchanging playdates,” Fitzgerald points out, so there’s a built-in level of trust. If you don’t have friends in need of flexible childcare, go in search of some. Baby tumbling and music classes are good places to scout, as are new-mom support groups; you can also cruise tot hot spots like the children’s-book section of Barnes and Noble or Borders for your preferred pal (choose the lady with the darkest under-eye circles). Also try message boards on region-specific Web sites (mamasource.com, for example). If you haven’t yet hung out with a potential member, it’s easy enough to hook up at the park a few times before deciding whether she’s in or not. How local is the perfect co-op? Geographically, most co-ops draw their boundaries based on how far members are willing to travel, both to other people’s children and away from their own. This distance varies, but a three-mile radius is common. The point system. Since you won’t be using money (yay! ), you’ll need to devise another way to keep track of services rendered. Most co-ops use a point system: Parents earn points by watching another family’s kids and spend them those points when they need a sitter. Point scales range from the simple (one point per child per hour) to the elaborate (extra points for weekends and evenings, for picking up another mom's child and so on), but to avoid future squabbles, the terms should always be decided when the co-op is created. Keeping track. While some co-ops appoint managers to record members’ point histories, others are less formal. Bay Area dad (founder of childcare-locating website tipplebox.com) Tolulope Akinola and his wife belonged to a co-op based entirely on trust when he was a grad student at Stanford. “We just relied on memory,” Akinola says of how his co-op tallied credits. “We kept it among friends, so there was a lot more room for trust and flexibility. Regular shifts. 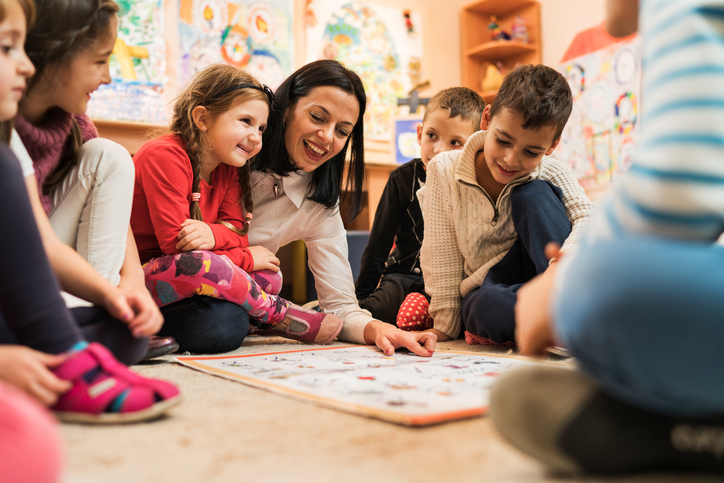 Daycare co-ops, which are for regularly scheduled child care rather than flexible and occasional babysitting, arrange a rotation of regular shifts for parents. Daycare co-ops are often small, made up of about five or six families who switch off using their homes as a location; because of infants’ unpredictable natures, DIY day cares seems to work better with children over the age of 1. Emergency protocol. Should parents be required to learn infant/child CPR? Are on-duty parents authorized to make medical decisions if emergency contacts can’t be reached? Discipline. Which methods does your co-op agree on? Time-outs? Suspension of privileges? Are consequences age-appropriate? Childproofing. What safety criteria must member homes meet? Should there be locks on all kitchen and bathroom cabinets? Electrical socket protectors? Are periodic home inspections necessary? Other health and safety issues. Decide before you start whether you'll require members' children to be up to date with their immunizations. And talk about your attitudes on chemical cleaners - if you or any of the other parents are trying to keep the baby's environment chemical-free or "green," it's a good idea to discuss the issue now.